Building an online business gives you the freedom to do what you love while still earning what you’re worth isn’t easy, but it is possible. I've spent the last 3 years learning about what online businesses need and perfecting my Strategic Website Design Roadmap method to help creative entrepreneurs who feel are tired of a website template that doesn't show off their expertise. 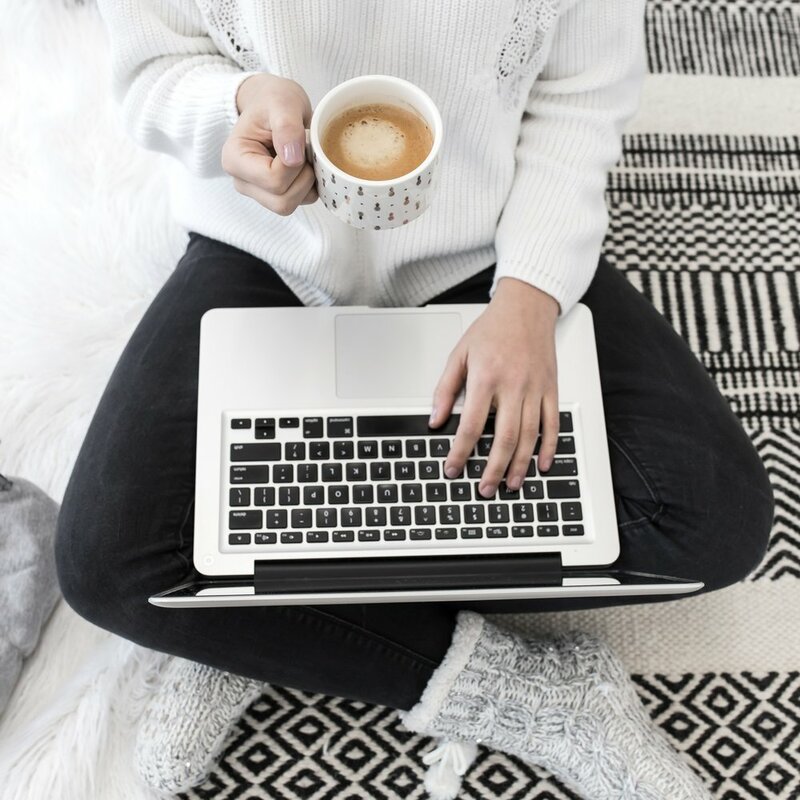 I know that it’s not about having a perfect website with all the bells and whistles - it’s about having one that shares your message, represents you in the right way, and attracts your dreamiest clients so your business can grow. *I am currently on maternity leave until June 24, 2019. We are so excited to welcome Little Wu into our family this April! If you are inquiring about website design or customization services, I am still accepting bookings during this time. If you haven't already, please fill out this application above so I can learn more about you and your business. The goal of this entire process to work in side-by-side to craft a website strategy and design that helps your business grow and gives you more time to spend doing what you love. This phase is all about gathering information and making sure your new website will be absolutely unique, completely user-friendly, and strategically designed to showcase your expertise and attract your dream clients. This is the phase that will require the most time from you – completeing workbooks and creating content takes most people much longer than anticipated, so plan to focus on this during the strategy and design phases. This phase is the part where you get to see what your website will look like. You’ll be spending most of your time creating content, but you’ll also get sneak peeks of the design as it comes together. The overall design will be based on your inspiration & questionnaire answers and each page will be optimized to help you reach those big goals (that’s why the strategy part is so important). During this phase, you can sit back and enjoy a weekly check-in email while focusing on your business. Towards the end of this phase, I will send you a link to the designed and developed website so you can check it out before requesting any final changes. Now is when you get to pop the champagne (or La Croix) and celebrate your website launch. The design isn’t done once your website launches. In order to have a website that helps you reach those big goals, I’ll be checking analytics and suggesting changes we can make to improve the website. Samantha walked alongside me as I really defined my brand as well as crafting the website. I loved working with Samantha. She is so talented at what she does. She knew things about my business that I needed before I even know I needed them. She was so quick to respond to my questions. The whole process was transparent and simple. So grateful for Samantha and her talent. Since working together, I've seen more clients, I feel more confident about my website, and I've seen an increase in newsletter subscribers. I knew my website needed an update because I was getting unqualified leads and didn't feel confident promoting my website, but I was uncertain of the process and what working with a designer would require from me. I didn't have time to look at every revision, so I loved working with Samantha because she used video to walk through design decisions and give feedback, which was easier and took less time than typing out my responses. Since working together, I've seen more clients, I feel more confident about my website, and I've seen an increase in newsletter subscribers. I don't have website shame anymore! When I found Samantha I was SO relieved! Working with Samantha at Lemon and the Sea has been such an incredibly positive experience! I was struggling with web design and brand positioning and I knew web design is NOT in my own wheelhouse and that I needed help! When I found Samantha I was SO relieved! She took all of my crazy ideas, needs, and wants, and filtered them into a workable and manageable project, that I am now so proud of! She is professional, knowledgeable, patient, organized, and she truly CARES that you are satisfied with the final results! I love my website and anytime I see someone asking for website design referrals, I am first to recommend Samantha! 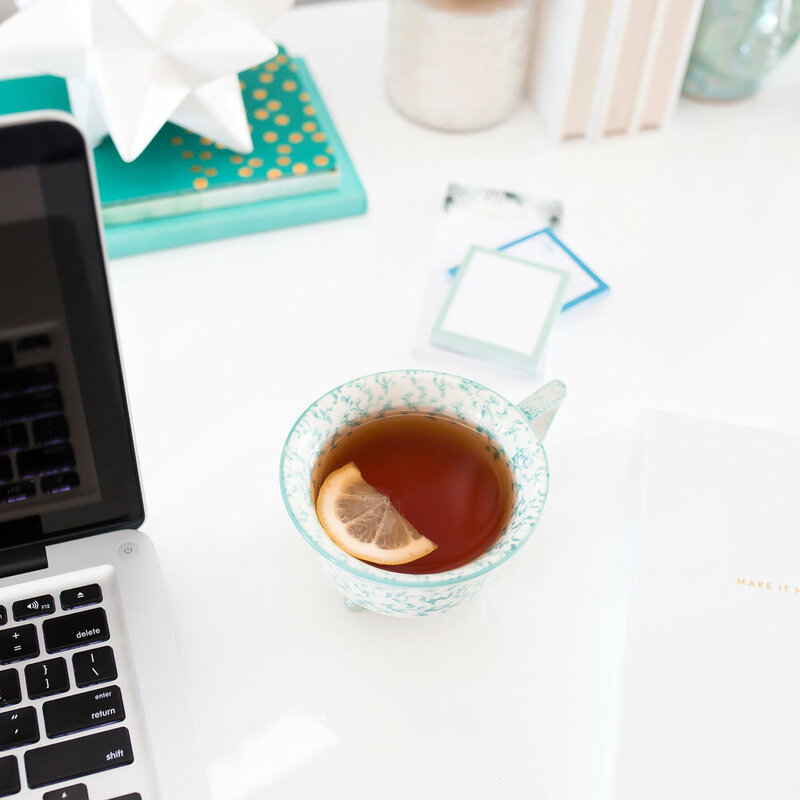 Before working with Lemon and the Sea I found myself spending way too much time trying to build my own site - time that could have been used moving the needle in other areas of my business. I hired Lemon and the Sea because I felt aligned with her vision to help other female entrepreneurs communicate the best version of their business to the world. Having Samantha's expertise and knowledge really helped me stay on deadline with launch day. Her quick communicative style was extremely helpful and she always made sure to get back to me, know matter how small the question. I would recommend her service for all those who are interested in streamlining the process while getting quality product. Samantha's work is always spot on. I found Samantha through a recommendation from Reina Pomeroy when my site was working slow and I wanted to make edits to the design. I love working with Samantha. She is responsive and organized. And she always follows up when I forget we are working on a project. I knew what kind of business I wanted, I just didn't know how to represent it visually. Samantha took the time to understand the type of business I have. I like the fact she asked questions and I believe this helped her to be able to design a website that reflected my personality in a professional and personal way. Samantha made what seemed like an overwhelming task enjoyable. With each step of the process, I was able to not only see the vision come together, it actually helped me to become more focused and excited about what I wanted my website and business to become. In light of the fact I did not feel confident about how I was originally representing my business, I struggled to even promote it. Since the redesign of the website, it has given me a renewed sense of pride in what I do. I was able to focus on other things like growing my business and generating more leads. By delegating my website design to a seasoned professional like Samantha, I was able to focus on other things like growing my business and generating more leads. Hire Lemon and the Sea. You will not be disappointed. - Melissa Hunsberger | Coffee Perks Co. Going into my design, I had a general idea of what I wanted everything to look like but had a hard time overthinking specifics. One of the wonderful things about working with Samantha is that she is extremely organized and timeline oriented. You will never have to wait on her to get a project done. She's very accessible and makes it easy to schedule phone calls and meetings and goes above and beyond to make sure you are happy with the progress. I was able to see my options before making final decisions at various stages of the branding process - from choosing my color palette, fonts, graphics, website layout, and overall visual aesthetic of both my brand and website - I never felt pressured to make a decision and just settle. Samantha made the revision aspect of every part of the project very easy and took every care to make sure I was happy with my brand. It was important to her that it would be the best reflection of what I wanted my company to "look" like - and making my brand as timeless as possible. My website is now easier to update after Samantha set up templates for me. I needed to update my website, but didn't have time to design and was getting frustrated with the tech. Samantha was organized and so kind and easy to work with! Samantha really works with you to make sure that your design really reflects your business. I have spoken with people and worked with other businesses that make you feel like you are just a paycheck or your business is just another job, but Samantha really made me feel like she cared about my passion and my goals. She really understands how hard it is to let go of aspects of your business and put something as important as the face you present to the world in someone else's hands. And she does not take her role lightly. I hope to continue working with her and Lemon and the Sea for a long time and would recommend her to anyone. Samantha a great communicator, completely professional and an absolute joy to work with. I received a strong recommendation and needed a Squarespace expert who could help be rebuild my former WordPress website in a jiffy! She is quick, efficient, responsive, proactive and nice. It's also very easy to communicate with her and she really listens to feedback! She has exceeded my expectations on every level. I am so happy, and fortunate, to have found Samantha. – Michele Ronsen | Ronsen Consulting. My website was up and running quickly so I could benefit from the new site design. The clarity of Samantha's communication and rapid turnaround on questions and feedback gave me the confidence she would take care of all the details. She was willing to do her homework to solve any issues, and really listened well to feedback while providing her own input and expertise to collaborate towards a great finished product. This was one of the simplest, quickest, and most helpful processes I have been through. Everything was spelled out easily for me (someone who has no idea how to make a website!) The correspondence between us was always quick and communicated well. I enjoyed collaborating and being able to make some of the design decisions myself while still having such strong guidance. I really feel like this will be a long-lasting tool for my career and it all happened so fast! There were a few issues with my web site that I couldn't manage on my own and needed to hire out. Yet I was struggling to find someone who would do light projects instead of a full blown site. Samantha was prompt to reply, professional in our interactions and proficient - I knew that I could trust her to do the work she said she could do in the timeframe she said she could do it. Since my project was so small and specific, I loved that she communicated so well and was efficient since I was on a much tighter timeline than I'd initially anticipated. Samantha doesn’t fit the stereotypes of the artist/creative who struggles with deadlines and completing work. She is the opposite: organized, efficient and prompt in the delivery of everything. I really appreciated that after working with a number of creatives lately who did succumb to that freelancer stereotype. I love having a more cohesive look for my brand on social media and my website! Samantha delivered the graphics in a very efficient and timely manner into a Google Drive that was easy to access and download from. She completed revisions quickly and really understood my vision for the graphics I wanted to create. It felt like I was working with a friend! I loved having a personal touch and felt like I could trust her with the project. Samantha delivers what she promises. I highly recommend her. Samantha was wonderful to work with. She’s detail orientated, organized, and dependable. Our work together began with a series of questionnaires, which were detailed and insightful; in fact, they helped me clarify what I wanted in my own mind so I could more clearly communicate what I wanted and needed from her. After she began to build my website, she kept me informed, and I watched what she did, step-by-step. During that process, she continued to consult with me about my likes and dislikes, and she was never impatient when I made requests or ask for changes. We communicated regularly by phone and email. She answered all my questions promptly, and she kept to the timeline she promised. Website design doesn't have to be scary - and you don't have to hire someone and hope for the best. Through a collaborative design process, tutorial videos, and post-launch support, I partner with you to create a website that brainy and beautiful. To find success, you just need a few tweaks to create a website that fits your style and brand. When you're ready to update your website, you need a design that fits your brand and helps you reach those big goals. Start or update your online store with a system that makes it easy. *I currently have a few more openings before my maternity leave starts on March 23rd, so please fill out the form to be added to my waitlist. You can take my word for it or you can check out my work. I feel so blessed to work alongside inspiring clients and have fun while doing it. Because I take on a very limited number of new clients each year to ensure that each projects gets the time and attention it deserves, I'm typically booked out several weeks. Let's start a conversation and get your project on the calendar!